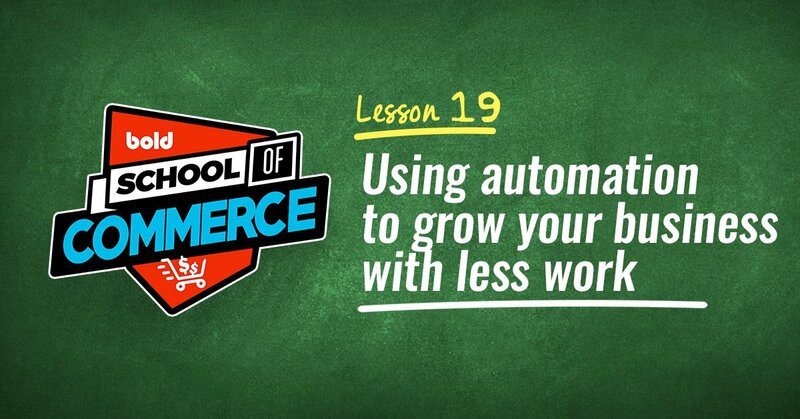 One of the things we love doing is finding ways to help small businesses grow and see success in the eCommerce world. So when we have a customer that uses one of our apps to help them hit one out of the park, we get pretty excited about it! Slawsa is an addictive slaw-salsa hybrid condiment that had placement in over 4,000 grocery stores when they went to pitch the Sharks on ABC’s “Shark Tank”. Never before had a CPG (Consumer Packaged Goods) grocery product had so much retailer confidence prior to the pitch. So when it came time to prepare for their airing, they did a few things. The main one was moving their online store to Shopify. They wanted to make sure they were on a platform that could hold up to the traffic spikes they anticipated from being on the show. 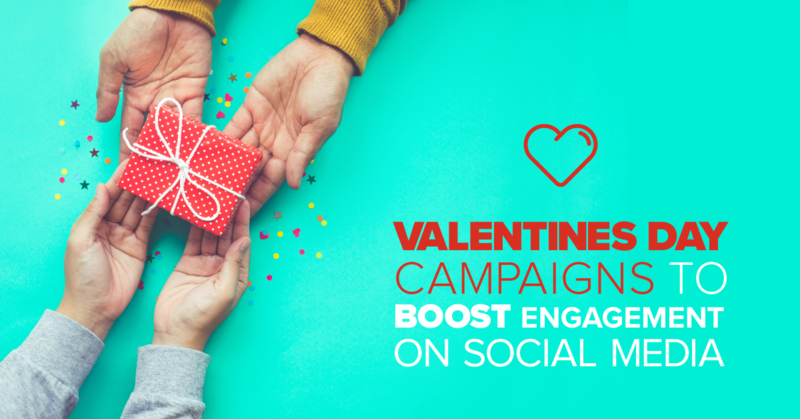 Other than their Shark Tank airings, Slawsa regularly saw spikes in traffic as a result of celebrities/food influencers posting about their love for the innovative condiment. How did they manage massive spikes in traffic? Slawsa’s Chief Effort Officer and 2015’s Top Women in Grocery honoree, Julie Busha, talked to us about her problem. 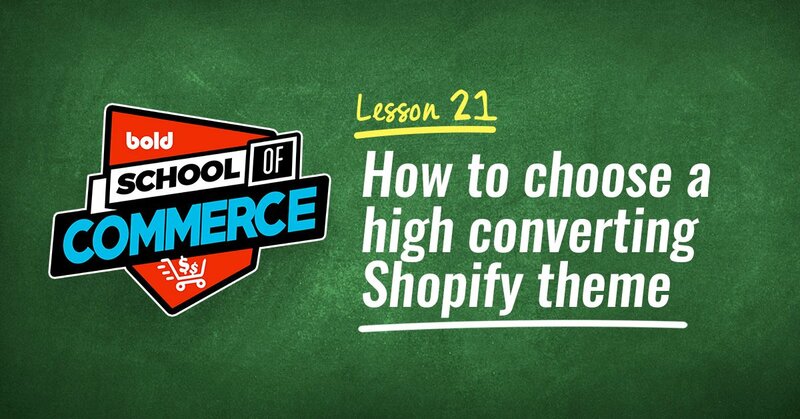 (Keep in mind, the largest stores on Shopify rely on our app to withstand any traffic spikes that come their way). 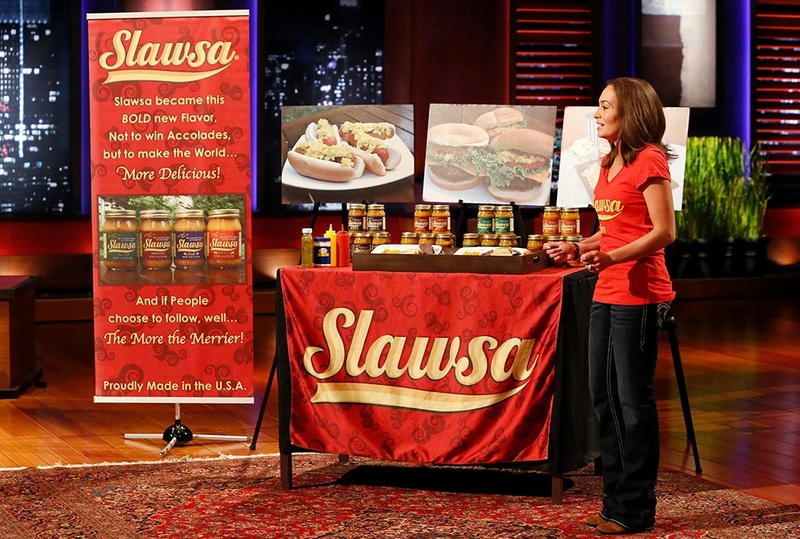 Unlike many food businesses that appear on Shark Tank who mainly rely on online sales since they're regional in nature, Slawsa prefers to drive traffic to their major retail partners to encourage customers to try their products. "Our problem was that we went through three different store locator apps in the last year, each of whom guaranteed they’d hold up to traffic spikes, yet even with advance notice, rarely did. I don’t know if our large store count, a massive traffic spike or the combination thereof that caused the issues, but we had constant store locator inconsistencies that were costing us time and money. Imagine the sales lost if thousands of people are looking to buy your product in a store near them, yet can’t access that data,” says Busha. 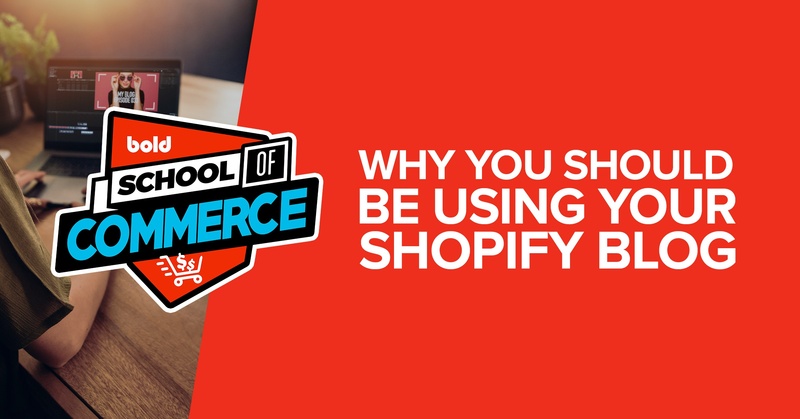 “The Shopify Store Locator app from Bold was finally the solution we were looking for. In addition to being able to handle all of our locations and traffic spikes, we were also able to note where to find Slawsa in each store while a customer was looking up their favorite location. That’s a huge bonus because we want people to know exactly where in a store to look for us. The Bold customer service throughout the transition and beyond has been exceptional and we look forward to a very long relationship,” says Busha. Even though the Slawsa brand is likely to surpass 10,000 stores and finish coast-to-coast placement, our Bold Store Locator will be able to grow along with them for years to come, no matter who raves about Slawsa next. More importantly, it’ll provide Julie peace of mind so she can focus on growing her business. 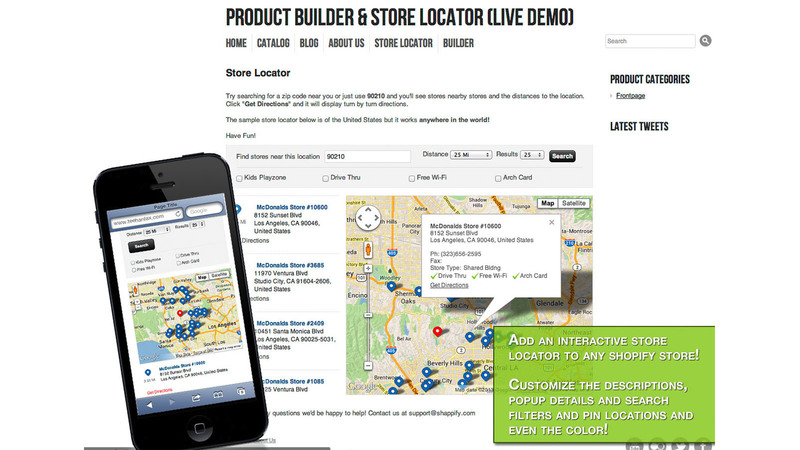 If you're looking for a powerful and customizable Store Locator app for your store, this one has it all. It's extremely user friendly and you can literally have it up and running in your store in just one day! 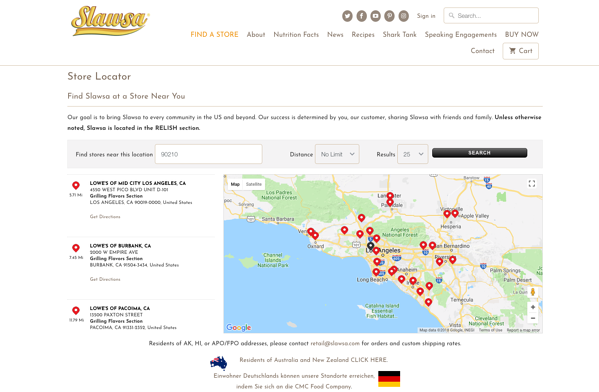 Click here to see Store Locator live on the Slawsa website. Add unlimited locations. Even if your products are sold in over 10,000 stores nationwide, you can still tag them all. Manually enter, or bulk import stores. Create custom fields for each location. For example "Payment Methods Accepted" or "Special Instructions." GET DIRECTIONS! Customers can get directions to any of your locations or dealers using the official Google Maps interface. Search by address, zip or postal code, or city. Customize all the titles, wording, button text, results text. Give it a feel that is consistent with your store's branding! Customize the layout and what's displayed for the address listings and the popup bubbles. Customize your map size, where geographically it starts, and from what zoom level! Add stores one at a time, or bulk import them using our wizard. Works with Snazzy Maps too. With the premium version of Store Locator you can see a HEATMAP report of where your customers are searching for you or your products! 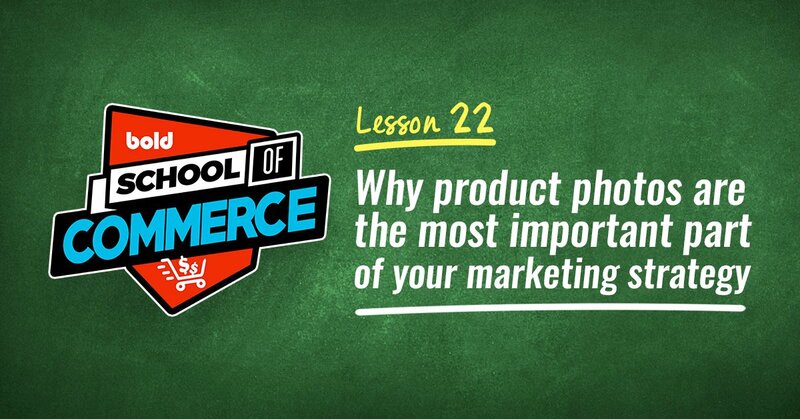 This gives you priceless information about where there is demand for your brand, product, or store! The app works great on any theme, and looks good too. Try Bold Store Locator for FREE! Store Locator is Bold's App of the Month for February, so you don't have to take our word on how great it is. 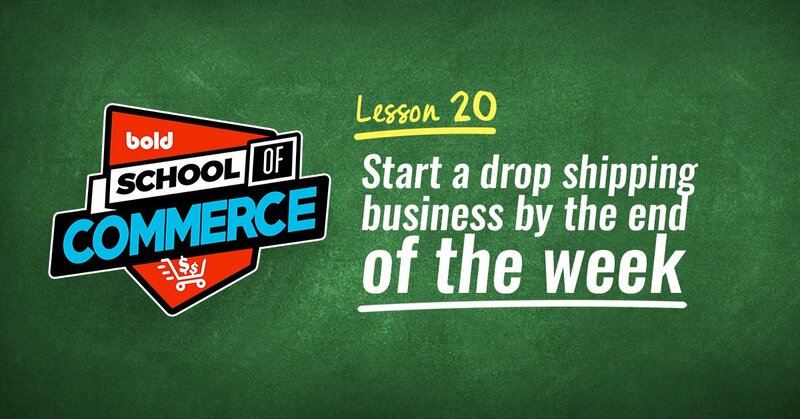 Download the app from the Shopify App Store to try it yourself FREE FOR 60 DAYS. We also have a live webinar on Feb. 21st to walk you through the app, and show you how to set it up on your store. Click here to save your spot.